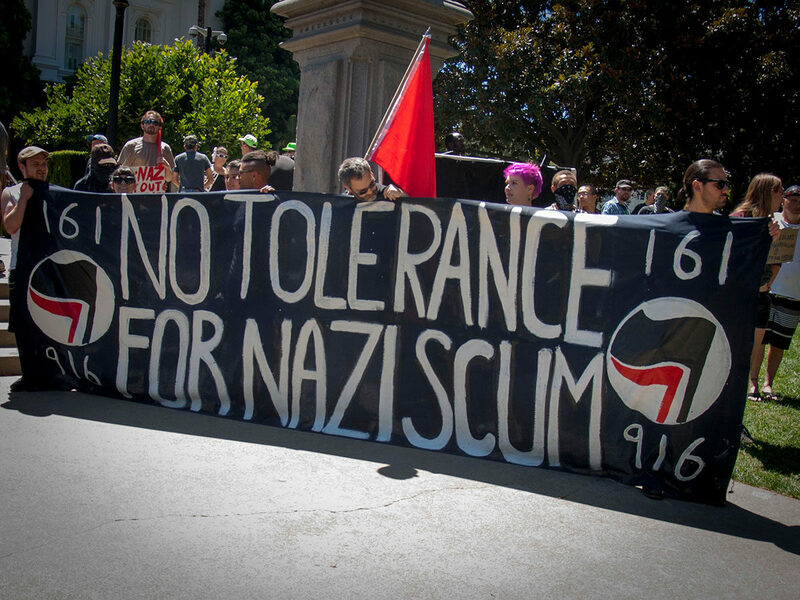 People took the streets in San Francisco against state-sanctioned police murders in the US and in solidarity with the rebellion in Oaxaca. On Friday, July 15, 150 people took the streets in an unpermitted march in San Francisco’s Mission District against state-sanctioned police murders of Black, Brown and poor people in the US and in solidarity with the ongoing rebellion in Oaxaca, Mexico, which has become increasingly radicalized and widespread since it began with the teachers strike on May 15th against a new educational reform. 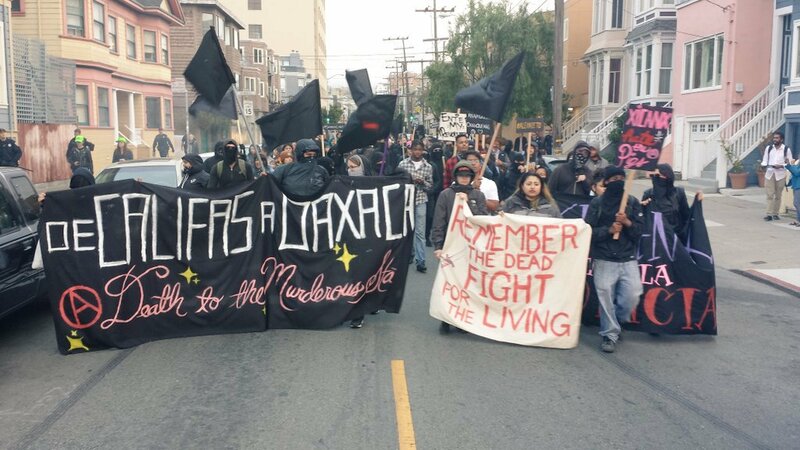 The march highlighted the 14 comrades brutally murdered by the Mexican state and visited the sites of the murders of both Amilcar Pérez-López and Luis Góngora Pat at the hands of the San Francisco police department. 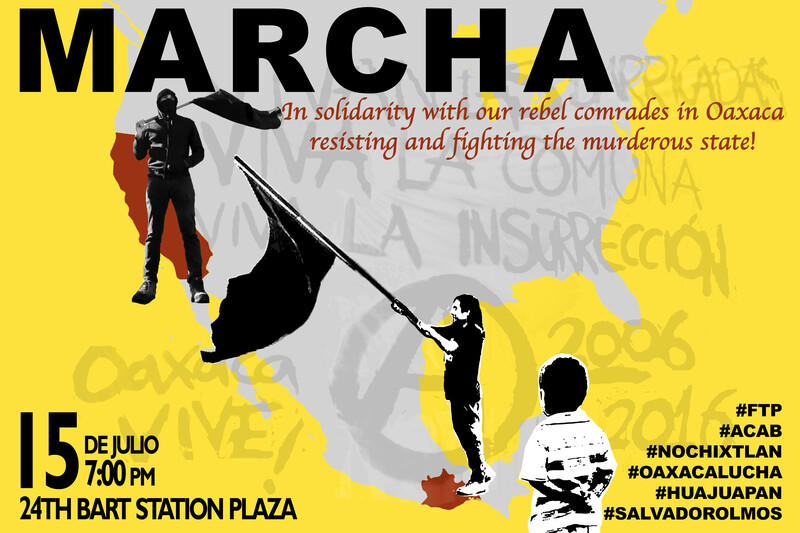 Join us as we march in defiance of state repression and in solidarity with our compañerxs on the barricades in Oaxaca. A teachers strike that began on May 15 has grown into a widespread rebellion in the Mexican state of Oaxaca. 14 compañeros have been killed by the state, including 12 in a massacre on June 19. 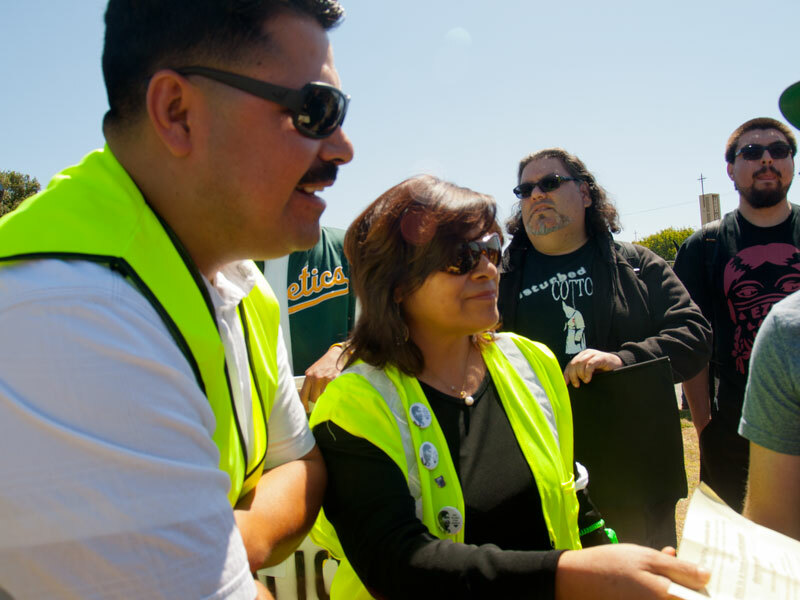 Join us on Friday, July 15 at 7pm at the 24th St. BART Plaza in San Francisco to mark two months since the strike began as we march in defiance of state repression and in solidarity with our compañerxs on the barricades in Oaxaca.